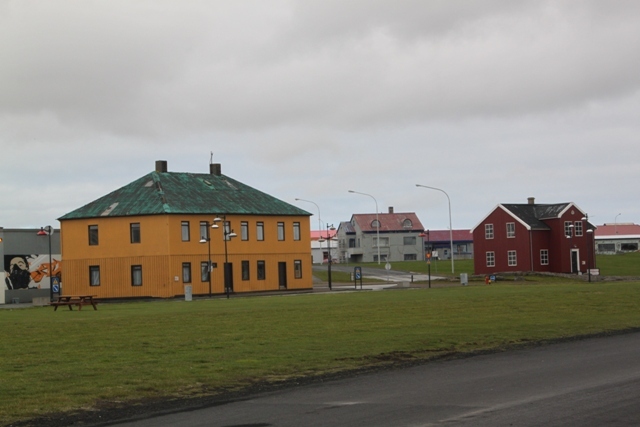 On day 2 with our hire car, we decided to leave Reyjkavik and find out what Keflavik was like. 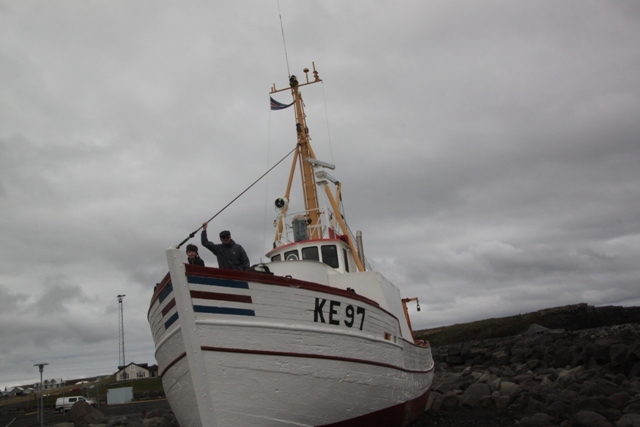 We also planned a little tour around the Rekyjanes Peninsula. 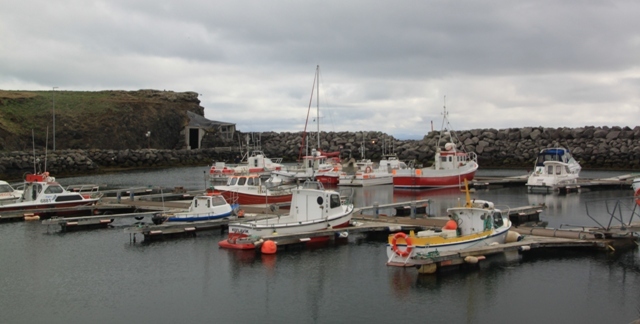 Keflavik is only about 45 minutes easy drive from Reykjavik. We had already done this journey in reverse a few days ago – the international airport is here. Our 9 year old has become fascinated with the Icelandic surnames. 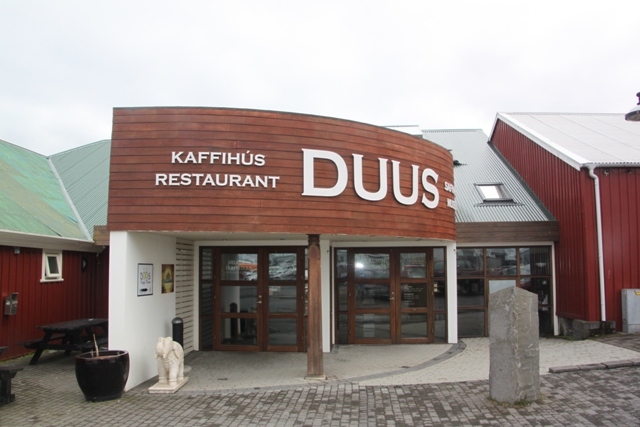 They don’t have family names here – instead the men take their father’s Christian name and put “son” on the end (if your dad is Magnus, then your surname is Magnusson) and women take their father’s Christian name with “dottir” on the end (Magnusdottir). Women do not change their names when they are married and the system goes on……. This really kept the conversation going during the drive. Keflavik is quite an interesting place. It seems to get left off the tourist trail, this is great because you have it all to yourself, but a shame to miss it as there are lovely views and some good things to see. It was a NATO base during the Cold War. At the end of the Cold War the American contingent left, but up until 2006 it was still a really important source of employment for the locals. On the way into the centre, we drove past the old base and all its buildings. It is huge – at one time 6,000 people lived here. Now there are lots of businesses there – a big problem they have though, is that the power supply is based on the American system! We found a spot to park the car and set out to explore. It was very cloudy, but not too cold. A welcome respite from the freezing temperatures and biting winds of the last few days. First port of call was the Black Cave of the Giantess. 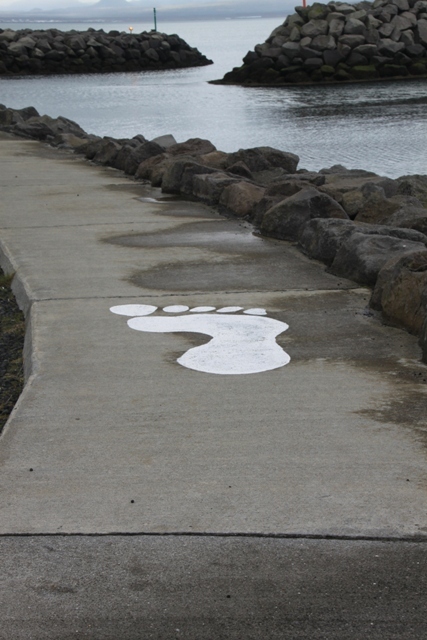 It’s by the harbour and easy to find, but just in case you have trouble, follow the enormous giantess footsteps and you’ll be sorted out. 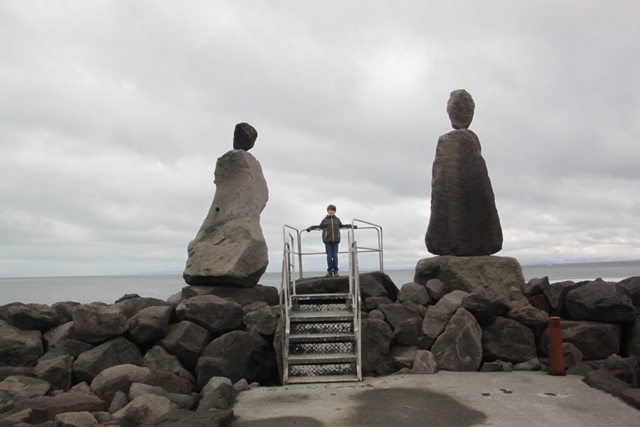 Our 9 year old was excited and very taken with this place, despite having never heard of the Icelandic children’s book – Sigga and the Giantess – upon which the character is based. You can go inside the little wooden/stone “cave”, have a look around and touch anything. It seems to be open all the time. 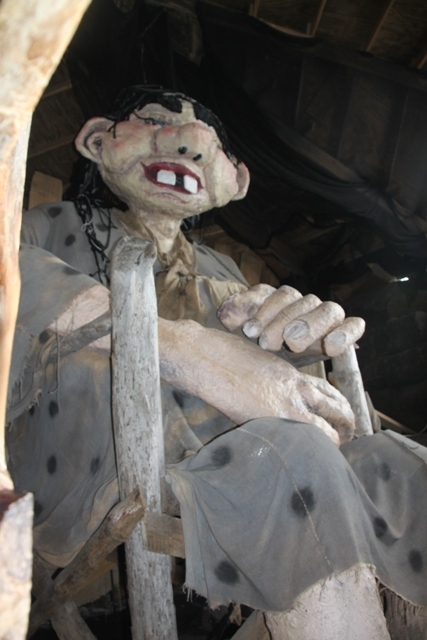 We went inside and found the giantess sittting in a chair. She breathes and snores and we did hear the odd rude noise. Needless to say, for our 9 year old this was utterly hilarious. He also clambered up onto the giant wooden bed. Afterwards we walked around the lovely little harbour area. It is so peaceful and calm here. You get great views out to sea and we had the whole place to ourselves. 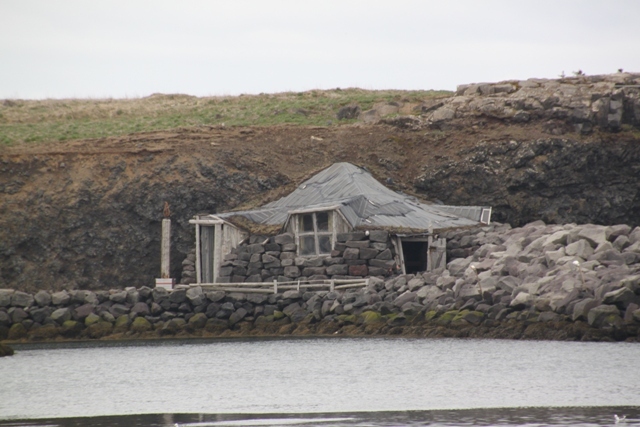 Keflavik was deserted during our visit – maybe it always is. 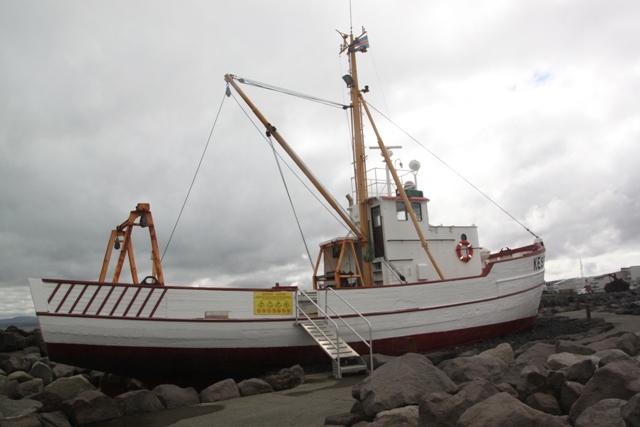 There are rocks to clamber over, strange sculptures to look at and an old fishing boat where you can climb onboard. The cold started to creep into our bones, so after an hour of exploring, we set off to find a coffee shop. Not an easy task, but eventually we located on inside a place called the Duushuus. This was actually a really good find. There was a rustic but nice bar/coffee shop and also a quaint little museum. Entrance was free, so we decided to make the most of that. Unfortunately repainting work was underway, so we only got to look inside 2 of the exhibition rooms. There is not a lot to see, but it is interesting nonetheless. 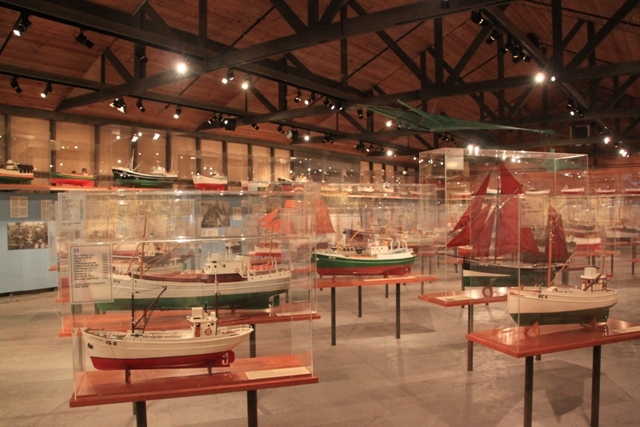 The first room had a display of model boats made by the same local man. 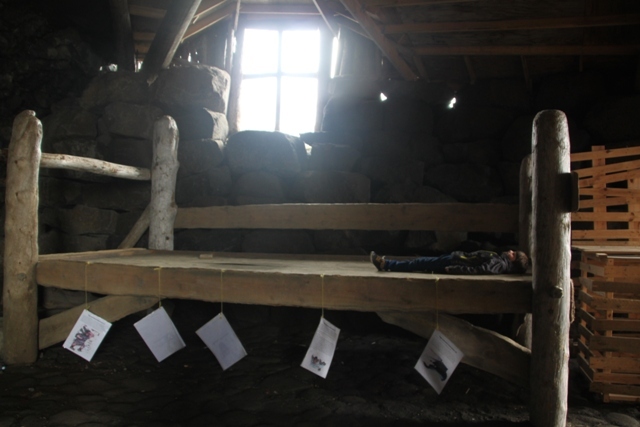 Next door was a room all about life in old Iceland. 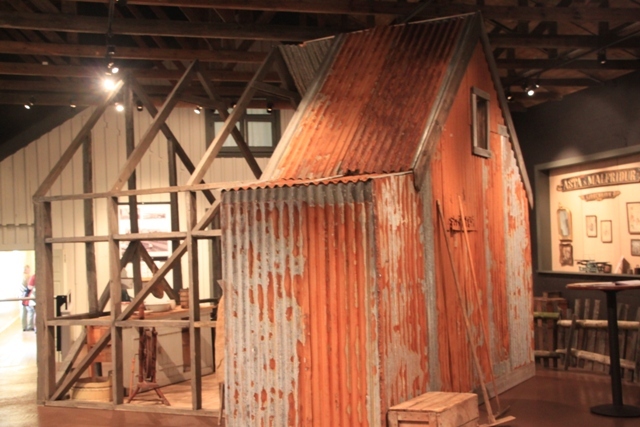 They had a mock up of a corrugated iron Icelandic house. Our 9 year old loved this. All the information was also – very helpfully – in English. On our way out, we told the man at the entrance we were planning to explore some more around the local area. He was really helpful, gave us a driving route around the peninsula and lots of suggestions for interesting places to stop and things to see. 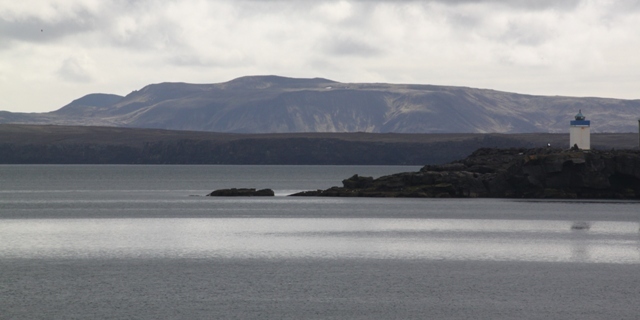 These were places we hadn’t found in any of our planning which made the visit to the Duushuss so worthwhile. 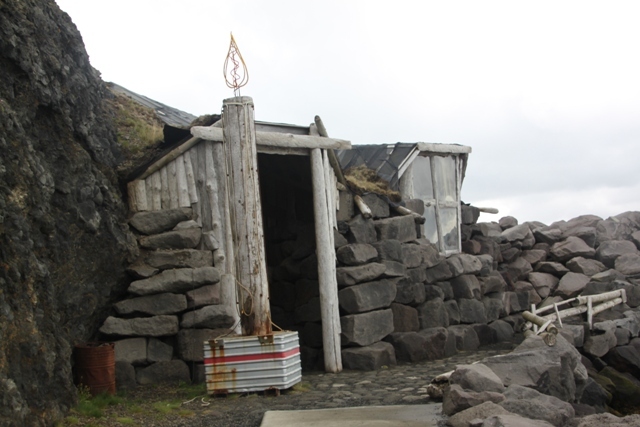 We headed back to the car, ready for the next part of the Reykjanes Peninsula.